In order to activate the Newspaper theme, you have to use the Envato Purchase Code. We are very sorry that the theme requires this additional step, but we implemented this feature to better serve our paying customers. The theme activation message typically shows up after 3 days of usage. All warnings will go away and you will have an activated product. 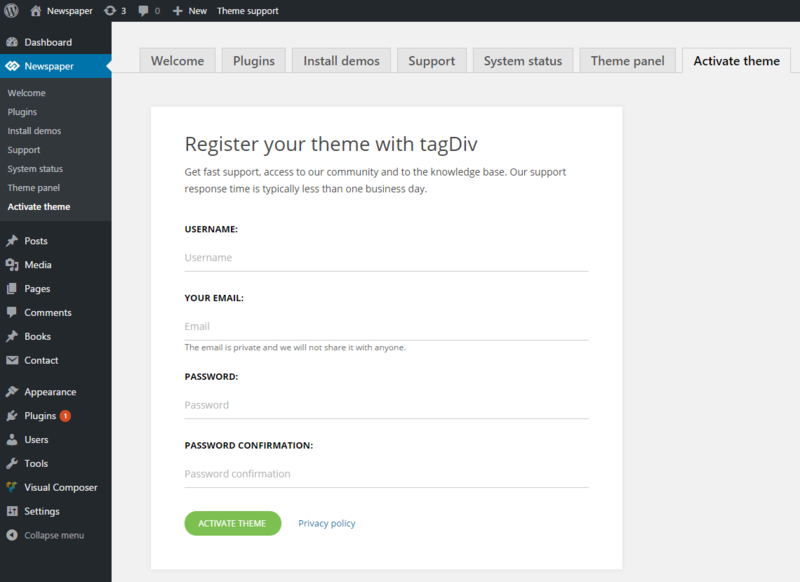 You can activate the theme on multiple locations, the same purchase key can be used to activate your development copies and also the live version of your theme. Step 1 – Go to the Dashboard area> Newspaper> Activate Theme. Step 3 – Press the Activate Theme button. Step 4: Create a forum account adding a username, email, password and confirmation details. Note: If you already have a forum user created, the last prompt will not be available. 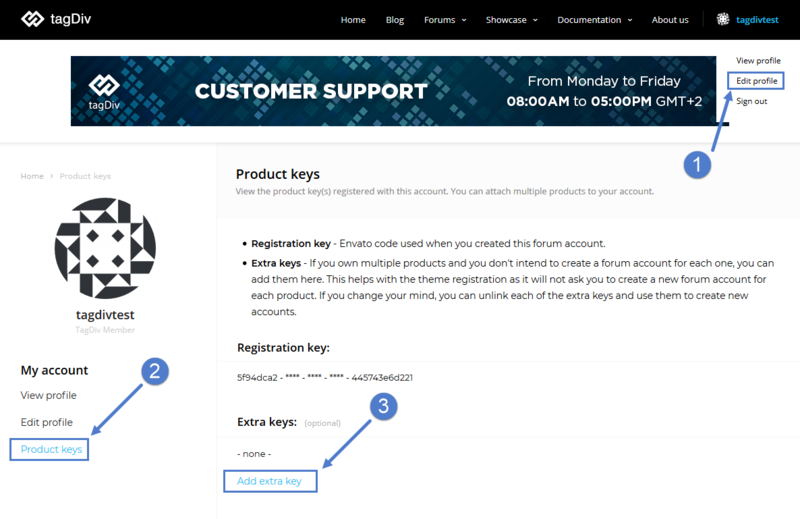 If you own multiple copies of the theme, you do not need to create multiple forum accounts as you can add your extra envato keys to your existing account and the theme activation will skip the forum registration requirement.